and here is my DT card - yes I've gone a bit grungy!! I thought I'd have a play with my inks, perfect pearls and Tim Holtz stamps. I fancied something a little bit different and this was the result! The perfect pearls don't show up very well in the photos but the green leaves on the circle and the butterflies are pearlescent and very pretty when they catch the light. 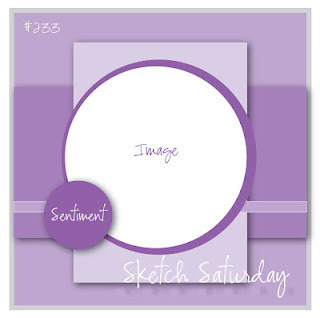 This week's Sketch Saturday challenge is sponsored by Simon Says Stamp and there is a prize on offer so make sure you hop on over and join in! Wow... that's really grungy.. but wonderful. I love earth tones and birds, so this card is perfect in my eyes :-). This is beautiful and so stylish. Thanks for joining us at Do You Stack Up. Ooh! this is amazing Niki. Love it! This is a vintage beauty Niki! I love the soft, subtle colors and the muted images...it is gorgeous! Thank you so much for joining us at DYSU this week! A late thank you from just across the water for playing along with the last CCEE Stampers challenge. Your layout is lovely with the butterflies you added to balance the sentiment - and I know how hard Perfect Pearls are to capture!